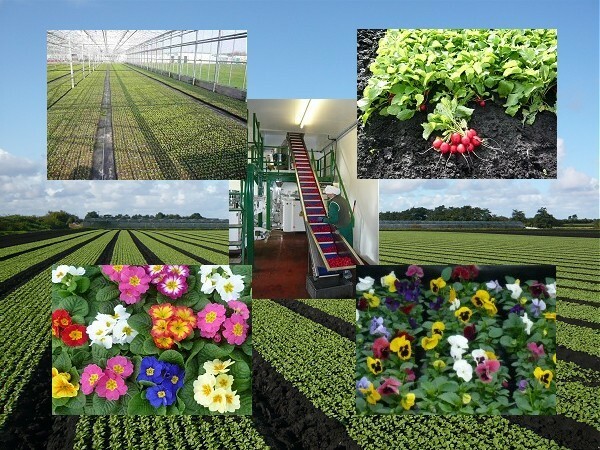 This is J & J Thompson and Sons - we are a family run business specialising in the production and supply of pre-packed Radish and Bedding Plants for supermarket distribution. Here you will find information relating to the services we provide and what you can expect when dealing with us. Our Radish production currently stands at over 130 Acres during the UK season and we import approximately 15 tonnes per week during the winter months. Our plant production currently runs at 15 million units per year. We grow a vast variety of seasonal bedding, fruits and grow your own products. We offer a range of pack sizes, from 4 packs to 20 packs including potted singles and hanging baskets. You are invited to find out more about us by perusing this site - we hope you enjoy your stay! This project is part financed by the European Agricultural Fund for Rural Development; Europe investing in rural areas. For details of our Mayfair Nursery Project please see our project page! Copyright (c) 2014 J & J Thompson and Sons. All rights reserved.